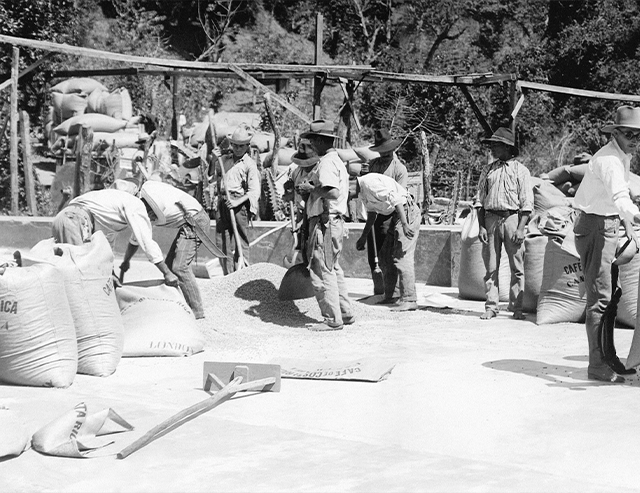 In the late 19th century, the expansion of the coffee growing business led to increased urban growth and wealth. This growth had an especially large impact on burgeoning neighborhoods in San Jose. The Barrio Amon is one of the better known neighborhoods that developed from 1892 onward. Residents of the city used their new money to build large estates and luxurious homes, many of which are still standing today. Barrio Amon It was one of the first neighborhoods to receive an influx of the wealthy owners of coffee farms who brought their sophisticated sense of art and culture to their new home. 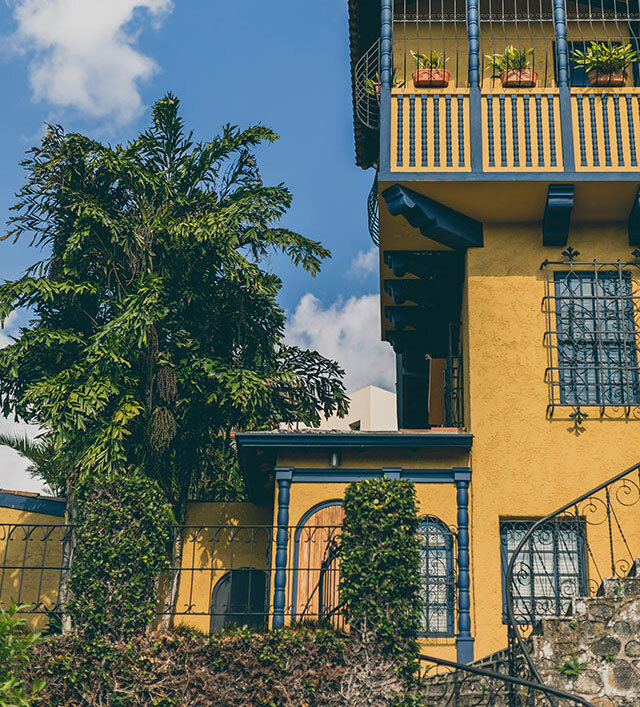 The neighborhood was named after the brother of Ammon Fasileau-Duplantier who came to Costa Rica around this time period. He bought plots of land in the area to plant more coffee for his coffee mill in the city. 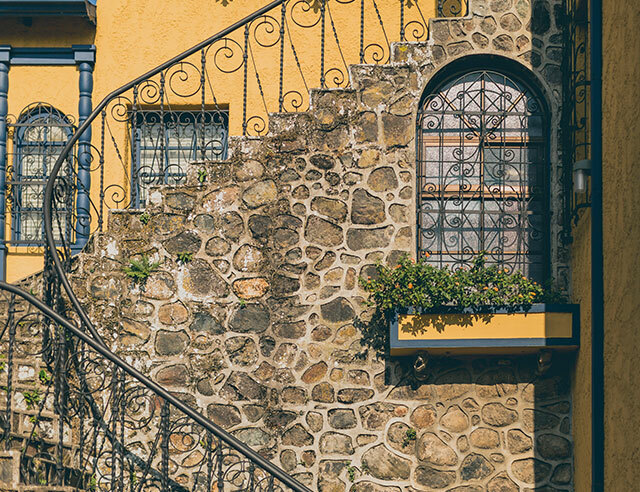 Today, Barrio Amon is one of the San Jose’s oldest neighborhoods, an artsy, on the rise area known for its architectural history, unique cafes, and numerous art galleries. 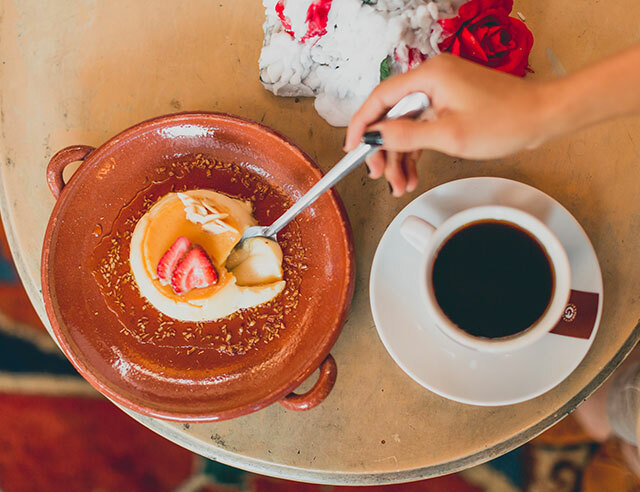 Present day Barrio Amon has moved past the exclusivity of its early days to welcome all coffee lovers to a multitude of cafes and restaurants. Among the multitude of great options to choose from, one shines above the rest: Alma de Amon. Housed in a homey wooden building stepping into this Café is entering a colorful and exotic world. The lamps and chairs are pops of blue and red colors, and candelight provides an aura of mystery and intimacy. 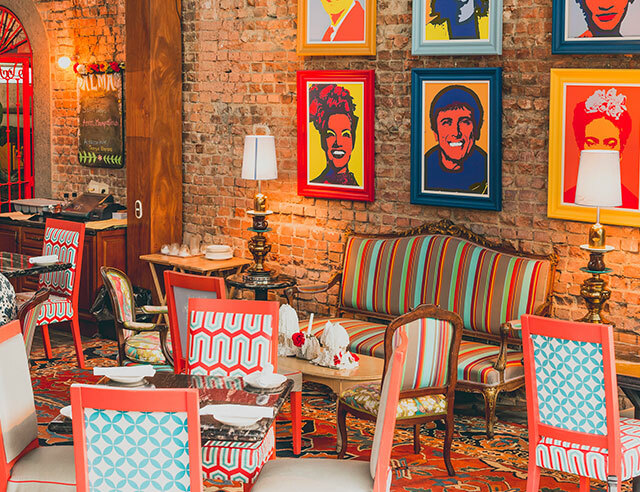 One of the most fun parts of the décor is the pop art paintings that hang on the walls. These colorful pieces of art depict the faces of famous Latin Americans including Frida Kahlo, Carmen Miranda, and Pope Francis. Their youthful feel provides the perfect modern edge to the authentic brick walls of the café. This charming restaurant, known in English as “The Soul of Amon”, opened less than a year ago and has already captured the hearts of locals and tourists alike. 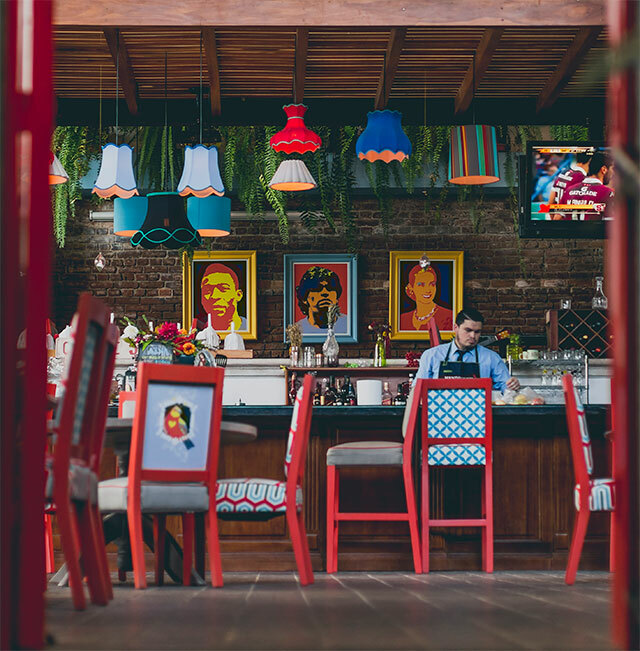 Taking inspiration from the surrounding cultures, this café honors Latin American culture with the music and food. The colorful decorations make it stand out from other restaurants and provide a cheerful, warm atmosphere. 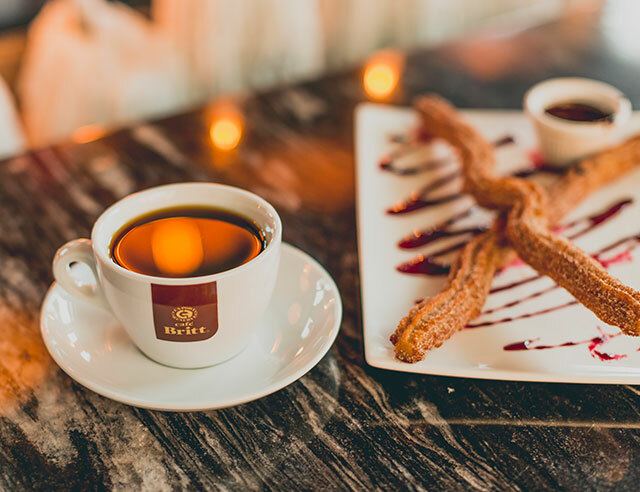 Although it is a restaurant, Alma de Amon’s most outstanding items are coffee and desserts. The Latin American menu has plenty of options with many large dishes, perfect for sharing. You can order a full meal or eat your way through the dessert menu. 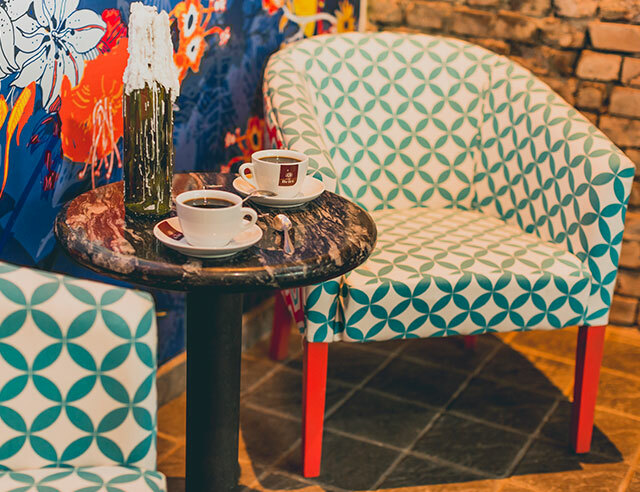 The cozy space provides the perfect atmosphere to sit back and relax over a cup of coffee with friends and family. On our most recent visit we ordered flan de la abuela, tres leches and the empanadas trio and discovered a new favorite: the churros. 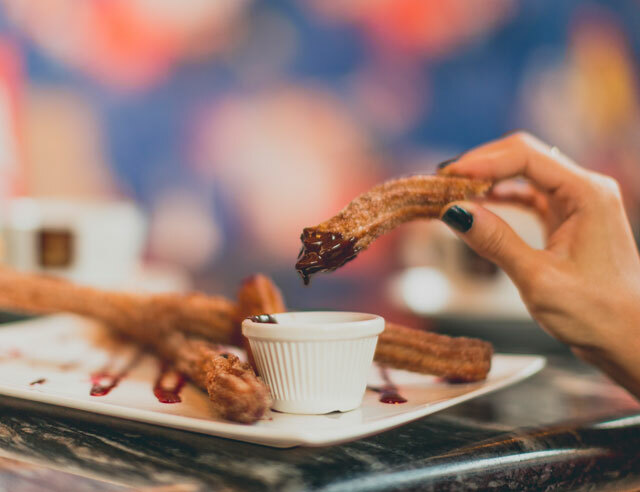 In our opinion, they are the best churros to be found in the entire neighborhood. 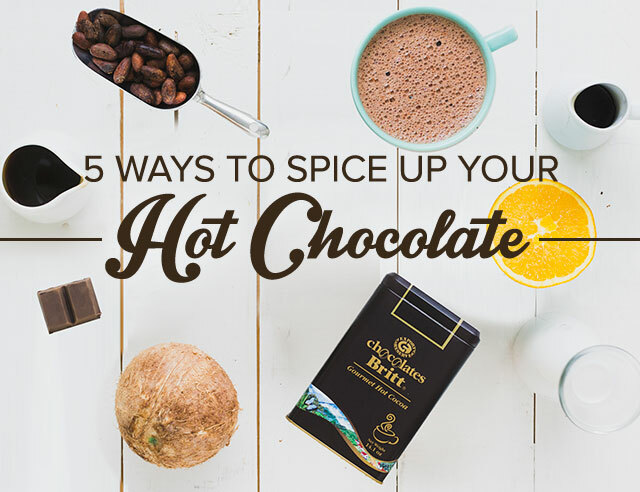 With the flow of great coffee and sweets never stopping time seems to fly by. No need to worry, at night Alma de Amon transforms into a lively hot spot. Keep the good times going with specialty cocktails. We recommend you try the Sofia Vergara Sangria—you won’t regret it. 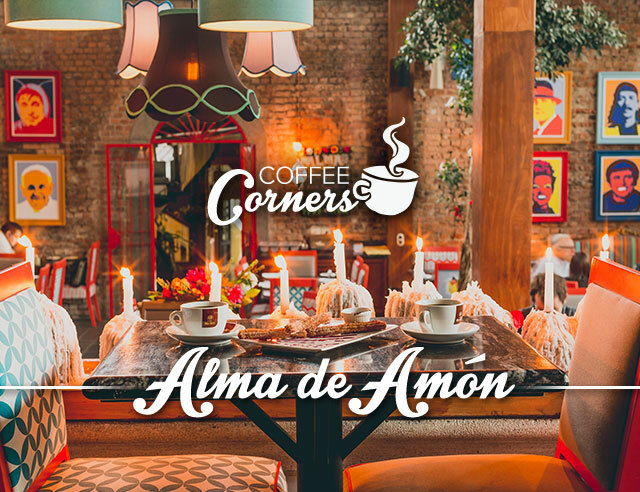 More than a place to eat and drink, we see Alma de Amon as a perfect slice of Latin American culture. 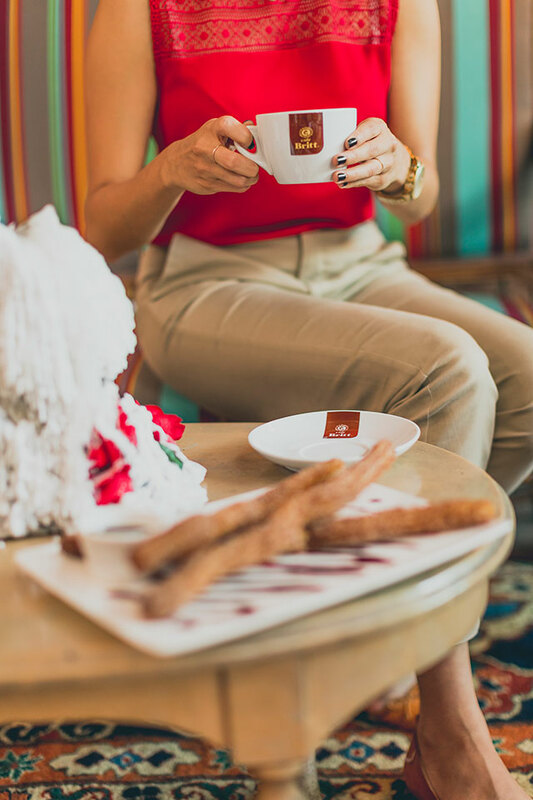 Spending long afternoons over decadent desserts and coffee with the people closest to us is one of our favorite things about living in Costa Rica. There’s always time for people, food, and laughter, and Alma de Amon offers the perfect space to celebrate our most beloved cultural roots.